Like many great success stories, the Wynns brand enjoyed very humble beginnings. What is now Wynns Coonawarra Estate was founded by Scottish pioneer John Riddoch, who planted vineyards in 1891 and built the estate's iconic gabled winery. In 1951 Melbourne wine merchants Samuel and David Wynn purchased Riddoch's original vineyards and winery and renamed the property 'Wynns Coonawarra Estate'. The Wynns family recognised the intrinsic qualities of Coonawarra wines - their richness and intensity of fruit character - and set out to build an independent identity in the region. 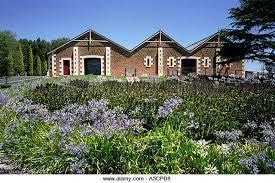 They created the famous label that has made John Riddoch's winery one of Australia's most iconic buildings.